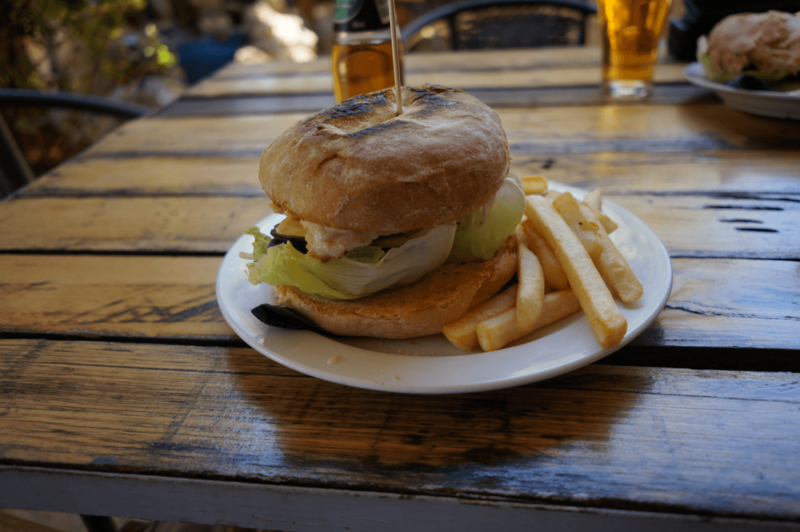 Welcome to a series of posts about unique and fun places in Australia. 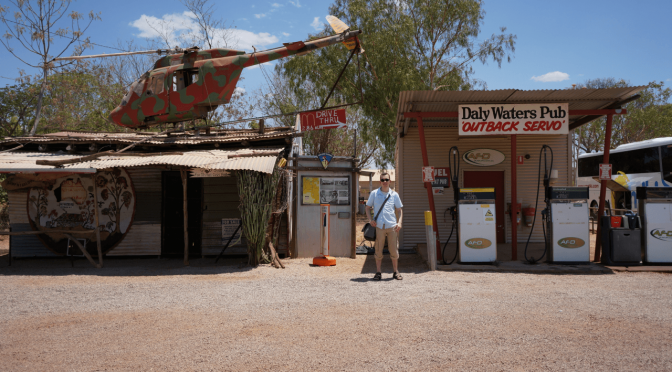 Today I would like to show you the Daly Waters Pub “Outback Servo” in Northern Territory Australia. Daly Waters is about 620 kilometres south of Darwin and three kilometres west of the Stuart Highway. 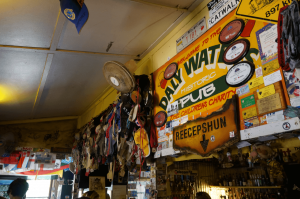 This pub not only has fantastic barramundi burgers but it also houses lots of stories through memorabilia left by visitors from around the globe. 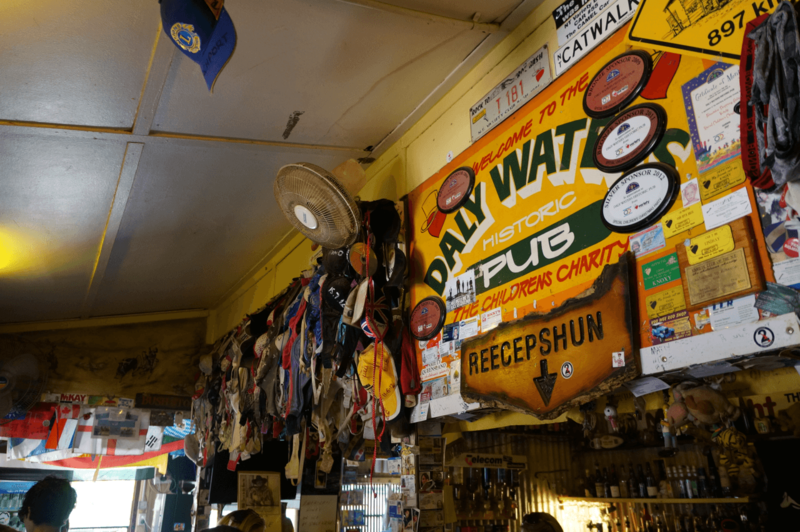 You can find hundreds of t-shirts, bras, car signs and plenty of other unique things at this place in the middle of nowhere. A lonely pub? I am not sure. It’s in the middle of nowhere, but people come to this place, enjoy great food and leave amazing things here.